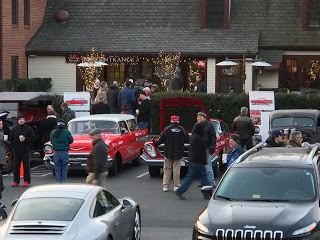 Click here to read the rest on ClassicCars.com. 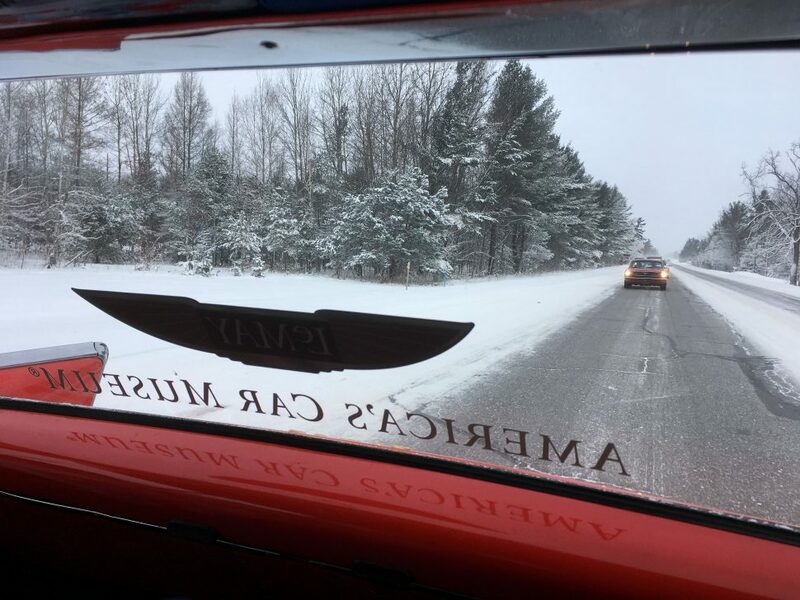 The Drive Home II, the LeMay-America’s Car Museum mid-winter classic car trek, is on the one-yard line of its 2,100-mile journey to the North American International Auto Show in Detroit. 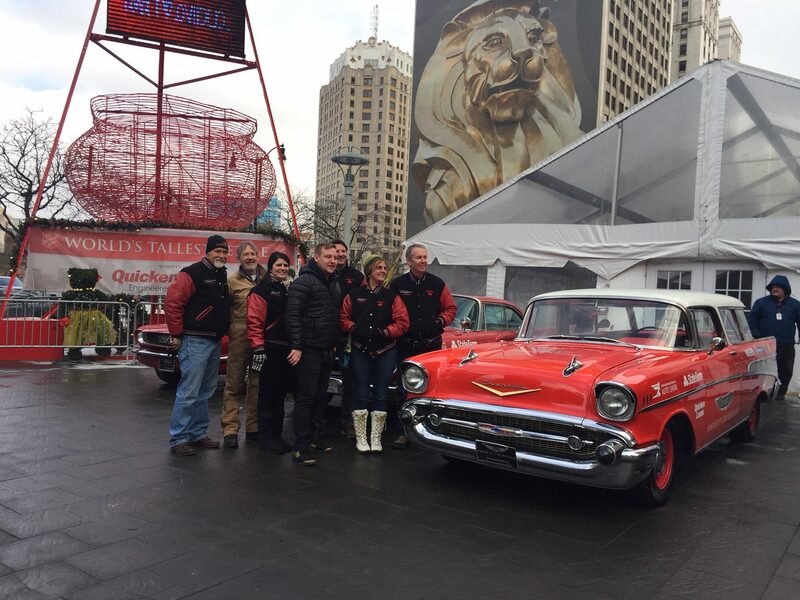 The final play starts in Troy, Michigan, with a sweep down Woodward Avenue to the end zone at NAIAS’s Cobo Center. 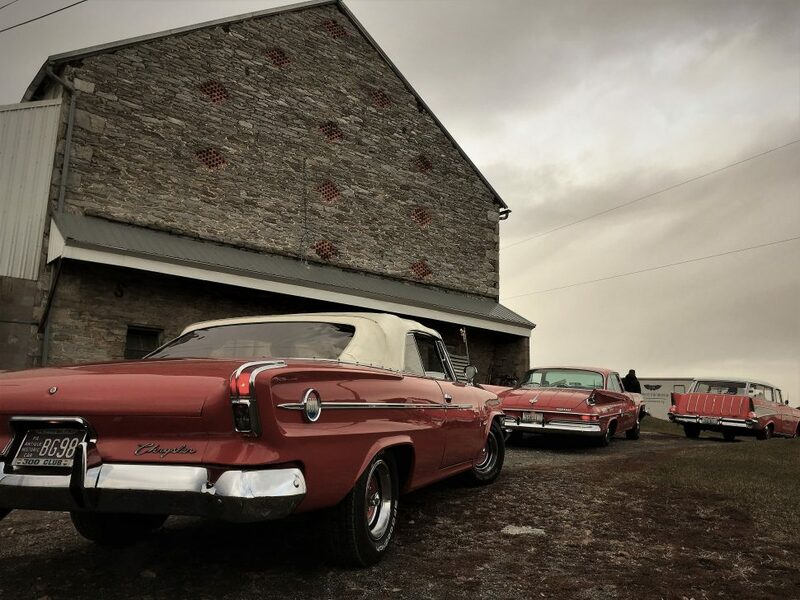 The Chrysler, dramatically sidelined by a broken rear axle three days prior, is back in the game. 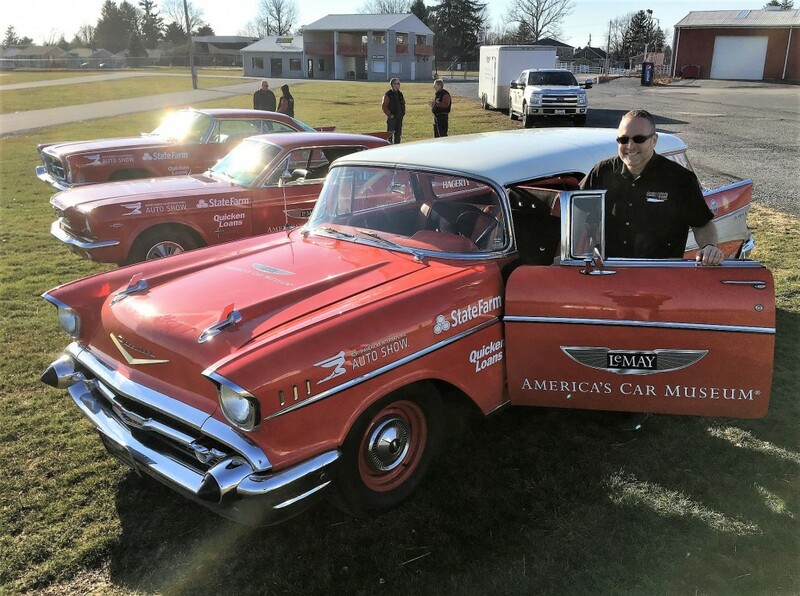 Readers will forgive me for building suspense in my reporting, as I had no doubt that Paul Sabatini and his crew at Lincoln of Troy would move heaven and earth to repair the proud Mopar on time for its homecoming parade. 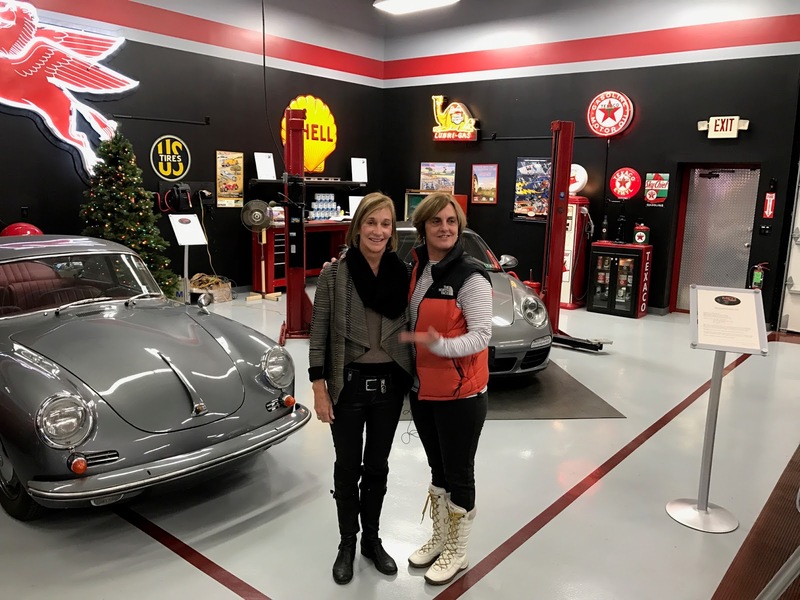 After our roadside breakdown dramas, it was a great moment to reunite with our fully restored, gleaming 300 letter car. 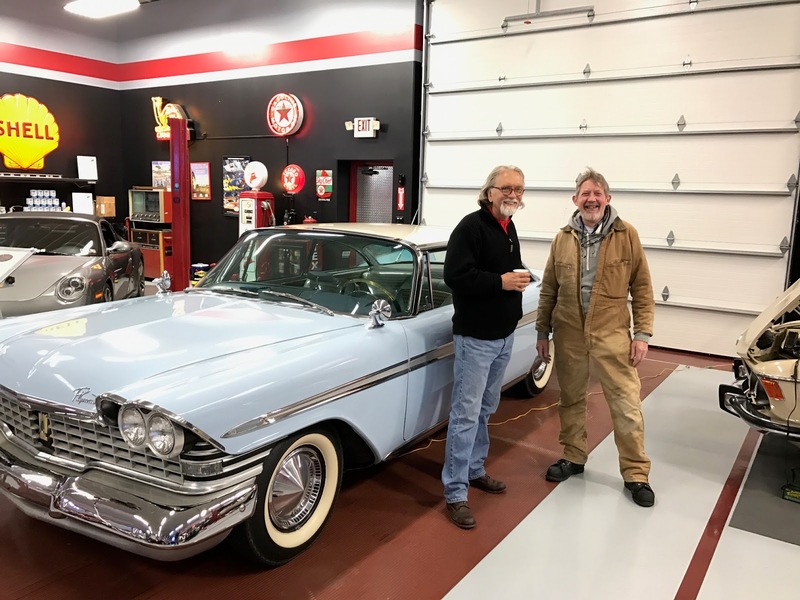 Click here to read the rest in Hemmings Motor News. Until today, the antagonist in the narrative of The Drive Home II has been the mechanical difficulties with the three classics, and not the much-anticipated winter weather. 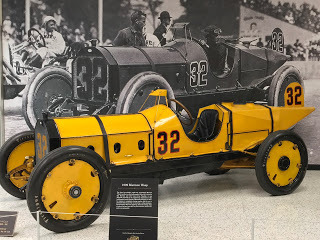 That narrative changed when lake effect snow blew into Grand Rapids for our last push “home” to the North American International Auto Show in Detroit. 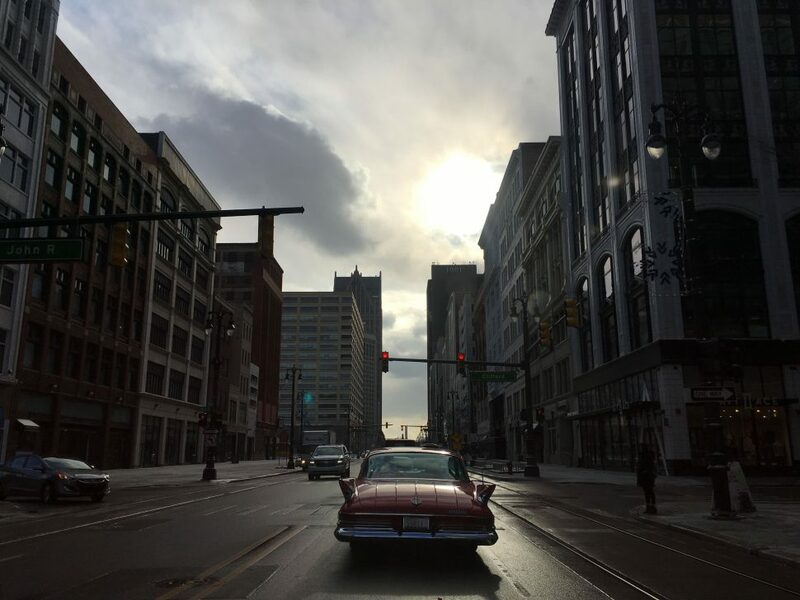 The morning started by winching the 1917 Crane-Simplex out of its trailer in Grand Rapids for another quick pre-dawn television spot, just as snowflakes started to dance off its Rockefeller Blue hood. 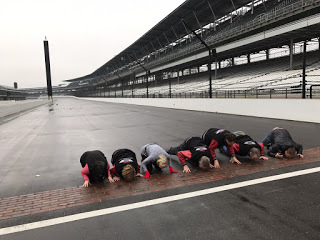 The young TV newswoman exclaimed, “Ooh, it’s like the car in the Titanic movie!” Little did she know, the whole tour up to this point had been like the Titanic movie. 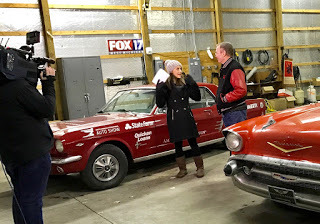 The Drive Home II Gang started another early morning with a series of Fox 17 TV interviews at the station’s Grand Rapids studio. 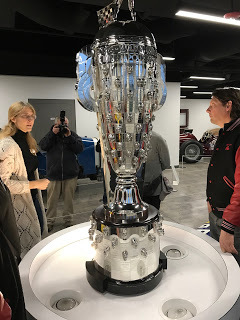 After a couple of news interview segments, I took reporter Annie Szatkowski for a ride-along to our Cars and Coffee event at Lambert, Edwards & Associates, and she did an 11-minute Facebook Live segment during our trip. 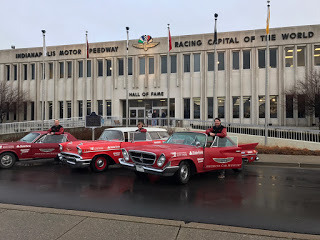 The Drive Home II, the LeMay-America’s Car Museum’s classic car expedition to the North American International Auto Show in Detroit, has stuck to a grueling schedule and Saturday’s early morning start upheld the pace. 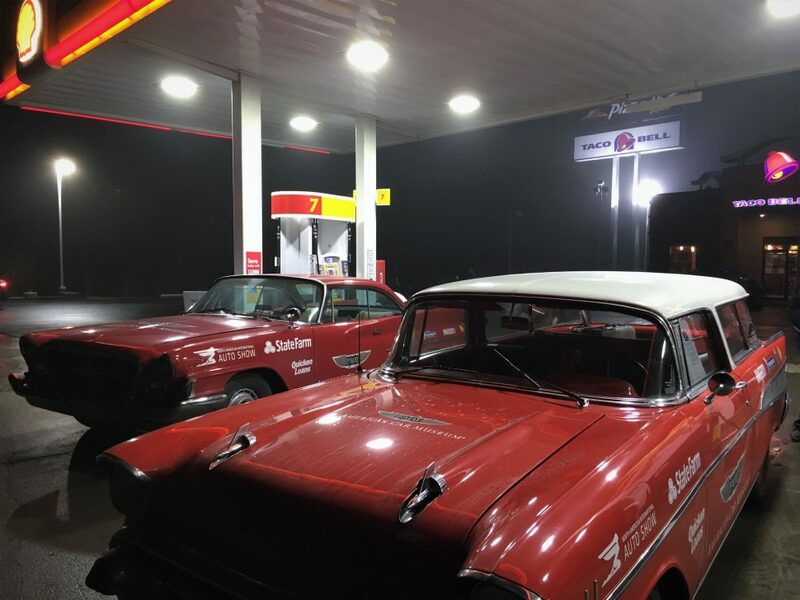 The team began a leg that would take them 250 miles from the Potomac to the Alleghenies and ring in the New Year in surreal elegance. 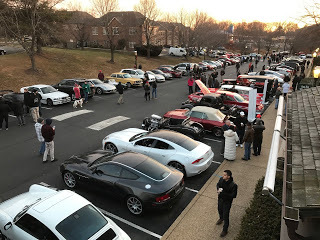 The crew left Arlington at 5:30 a.m. for the popular Katie’s Cars and Coffee event in Great Falls, Virginia. 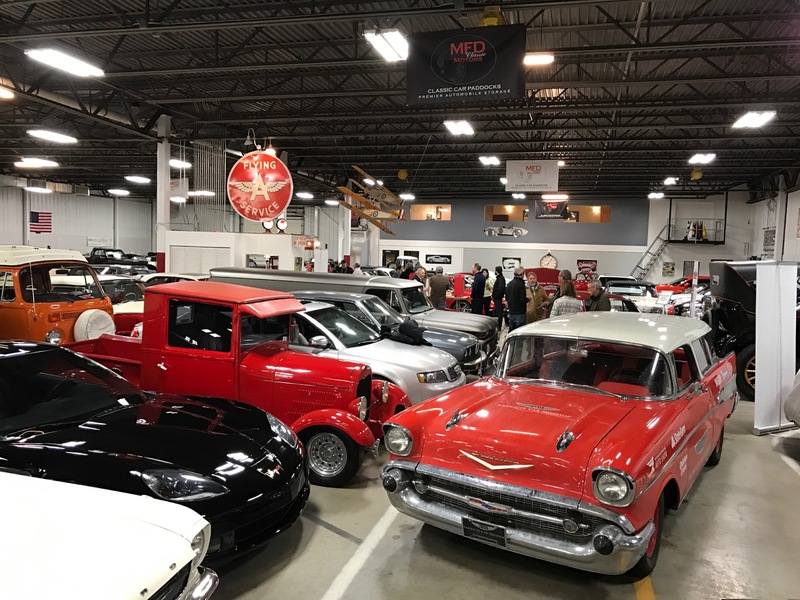 The event draws hundreds of sports, exotic, classic and antique cars each Saturday morning, with premium spots requiring pre-dawn claim staking. We unloaded the 1917 Crane-Simplex by winch, as we have been reluctant to start it since it overheated after the 15-mile jaunt from Newport to Jamestown.